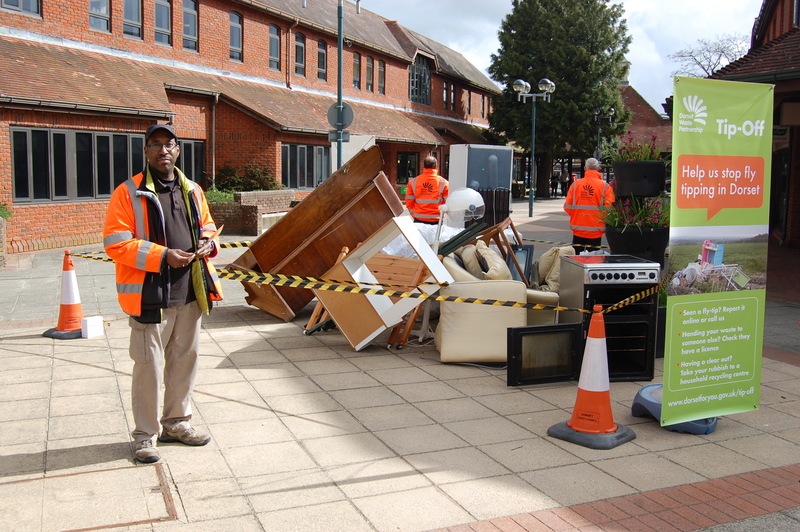 Dorset Reclaim is helping with a series of road shows across the county where Dorset Waste Partnership officers are talking to local people about what they can do to help report or stop fly-tipping activity. The campaign is being widely promoted in the local press, on radio and across social media. Dorset has recently expanded their Enforcement Team and is investigating more fly-tipping incidents than ever before; it costs over £150,000 each year to deal with. Fly-tipping incidents can be reported by visiting www.dorsetforyou.gov.uk/flytipping, e-mailing enquiries@dorsetwastepartnership.gov.uk or calling 01305 221040.